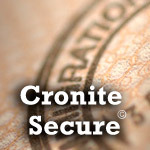 Cronite manufactures a line of economical, water based vault paints. 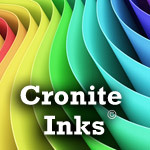 Our elegant line of paints has great adhesion, wonderful coverage and unbeatable brilliance. The paints also have superior stability so that no paint is wasted. In addition to metallic paints, we also offer a Clear Concrete Sealer which is an effective aid in the curing of concrete vaults. Our standard pallet of paints includes gold, silver, copper and black. 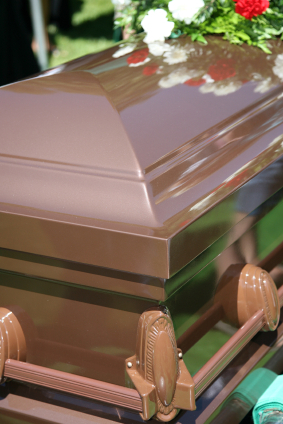 However, we have the capability of matching special metallic and non-metallic burial vault paint colors within your reasonable time frame. We can easily create a custom color for you such as maroon or navy blue. 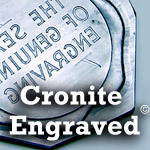 Please contact us at (973) 887-7900 with your special order requests. The KromeBrite Burial Vault Paints are available in a spray formula as well as a roller/brush on formula. In addition, the paint comes in handy to use 1 gallon, 5 gallon or 50 gallon quantities. The 1 gallon and 5 gallon containers are easy to handle and have openings which make it effortless to pour the paint into a tray or a pressure pot for spraying.